Domaine de la Romanée-Conti’s 1979 La Tâche is absolutely brilliant on this night. 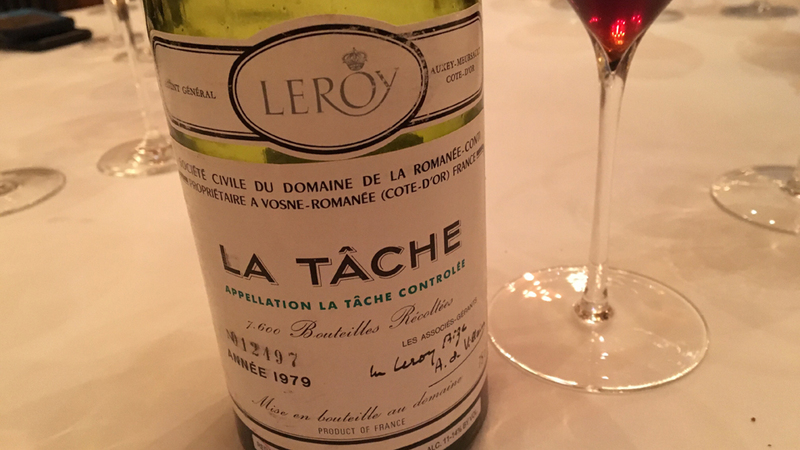 A wine of extraordinary aromatic presence and freshness, the 1979 is redolent of crushed rose petal, lavender, kirsch, blood orange and exotic spice. The flavors are bold, racy and precise in a decidedly mid-weight, slightly slender La Tâche that makes its case on balance and harmony. A kick of whole cluster savoriness adds the final shades of nuance. What a captivating, arrestingly beautiful wine the 1979 is. 95/Drink: 2017-2022.